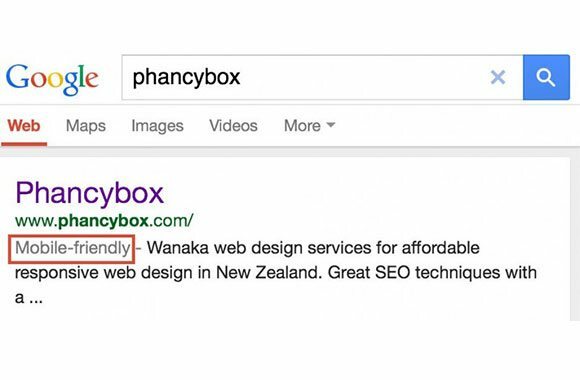 Google are now demoting website pages that aren’t mobile friendly, in mobile search results. This new search algorithm came into play on 21st April 2015. Stay ahead of your competition, and retain all your SEO efforts in ensuring that all of your websites pages are accessible to mobile users. If you receive a green message stating that your page is mobile friendly, no further action will need to be taken. Remember that these tests are against individual pages, not entire websites (so be sure to check all pages). If your website is not responsive and/or mobile friendly, you’ll receive confirmation about this, as well as further information around the reasons this page has failed. If your pages are failing this test, there are a few ways to proceed. The best way forward would be to start off with a responsive web design. Responsive websites are essentially setup to automatically adjust themselves, to operate on the screen size that visitors are using, automatically. Older responsive designs may not necessarily pass Google’s tests though. If you’re unsure of how to proceed or have any questions at all, please get in touch with our team. There are a number of methods that we can use to assist, and will work with you and your team to ensure your website is returning the best possible results for your business.